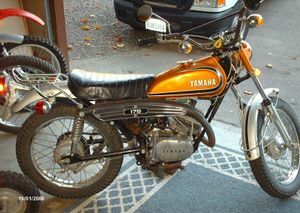 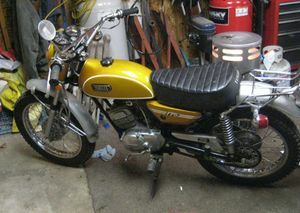 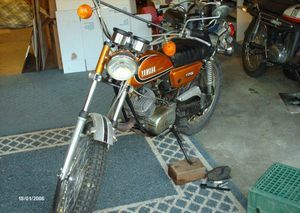 The Yamaha CT175 is a motorcycle produced by Yamaha from 1969 to 1973. 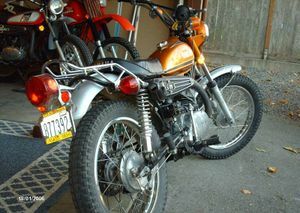 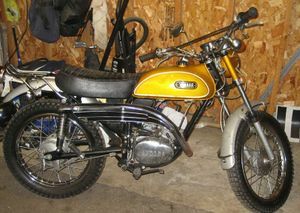 The Yamaha CT175 was a 175cc, 2-stroke, dual-purpose motorcycle manufactured by Yamaha from 1971 through 1973. 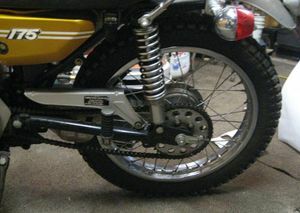 The CT175 The CT2 had a raised rear fender, raised exhaust, handlebars with cross members, universal tires, and adequate ground clearance for an off-road-enduro motorcycle or trail motorcycle yet it lacked a raised front fender. 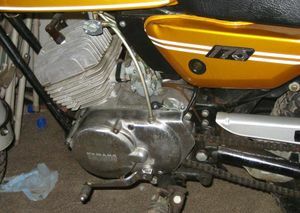 The piston inlet port engine produced 16 brake horsepower. 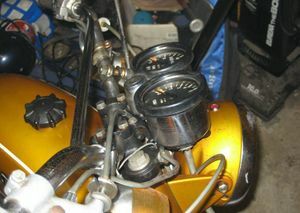 This page was last edited on 29 November 2010, at 23:50.